Size: approx. 7 mm. Photo: 04/26/12, 11 pm. 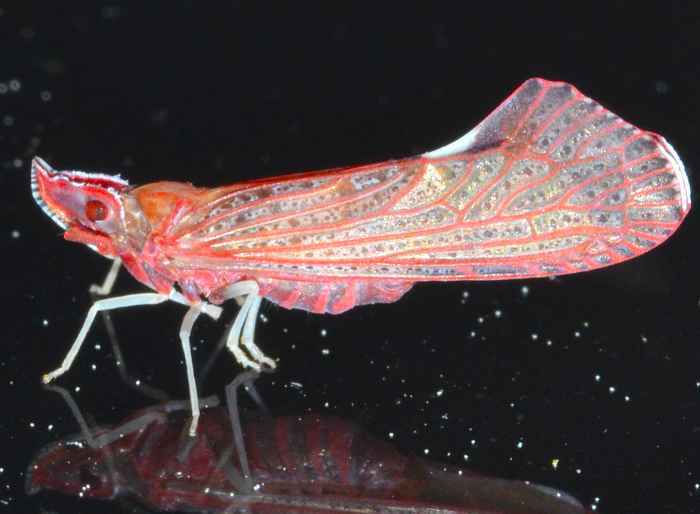 This plant hopper is Otiocerus degeeri. It cannot be confused with any other species. The winged insect has also a strangely twisted antenna base below its eye.